WHENEVER Manasseh Phiri joins Karen Nakawala on the latter’s Sunday Mellow Madness programme on Radio Phoenix, placid fills the airwaves. Dr Phiri fused in the programme that was already running with ease last Sunday, explaining a bit about Papa Wemba before dropping exceptional African pieces of music. He played songs of international status that have meaning and rhythm every radio listener would like to hear over again. The duo (Mannaseh and Karen) have serene voices that synchronize well between themselves and on the music genre they play. One can only imagine the kind of daily twosome presenters the two would make in the wake of co-presenters that have rocked the airwaves in recent times. 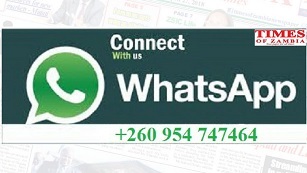 Call it a technical problem, the news that was read by Natasha Sakala on Radio Phoenix last Saturday morning was not audible, yet other sound bites were loud and clear. Where is Paddy Mukando? The dude has not been as regular as he used to be on Radio Phoenix previously, except for his Sunday morning Gospel Show. We heard Paddy read news regularly and anchor other programmes almost on a daily basis, but not anymore. Just when we were tuned in to the reminiscence music played on Radio Phoenix one Sunday afternoon, Samuel Sakala, who is Uncle Sam, man of all seasons dropped some songs that were done by one time Zambia’s great band, the WITCH. And guess who walked in the Times of Zambia newsroom, Emmanuel Jagari Chanda, the man whose voice led the vocals on the song that was playing on radio, popped in. Jagari was in the company of some foreign film makers in the country to document the life and times of the WITCH. Twenty three years since the Zambian Soccer players, officials and journalist died in the Gabon air disaster is a long time, therefore, a detailed introduction is necessary whenever broadcasters refer to that tragedy. A statement that Zambia is commemorating the Gabon Air disaster may not be enough as younger listeners would always ask what the disaster was all about. Thanks to Valentine Mukuka who ably said a bit of history behind it last Saturday when he gave updates on Radio Icengelo. Man Chilu, “Chilufya Kusensela was right on, explaining Lewis Changufu’s national mourning the radio station was observing last Saturday. 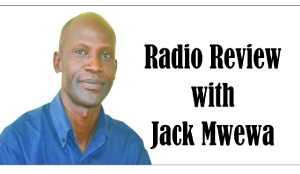 That was soon after taking over the airwaves on Zambia National Broadcasting Corporation (ZNBC) Radio 4. We, no longer have the ambiguity with presenters who, previously simply played solemn music without explaining what it was all about. This is my country, a programme on Radio 4 which highlights developmental projects across districts began without an introduction last Monday. The programme latter restarted soon after Hebert Mutabi who was continued announcer of the day handed over to programme host Jack Mwale. Focus on this day was on Serenje District where Jack took listeners through on numerous developmental projects that have taken place in that area. We read about Chinese Ambassador to Zambia’s wife Geng Hailing launching a radio programme on the Lusaka-based radio station 5fm titled “Chinese Tales with Madam Geng Hailing” which tells Chinese stories to Zambian children. The programme, in Madam Hailing’s words is a contribution to the cultural exchange programmes between China and Zambia. And as the education of children is of paramount importance, she always looked for a way to bring the Chinese tales to Zambian kids, sharing with them Chinese wisdom. The first episode of the programme was “The Monkey King”, the most popular figure of legends and tales in China which has been regarded as the symbol of intelligence, bravery, loyalty, persistence, and fight for justice. She also hopes that Zambian children will be inspired by the stories, and will get to know more about China, the Chinese tradition and culture, and contribute to the promotion of China-Zambia friendship when they grow up. Those outside Lusaka can get “Chinese Tales with Madam Geng Hailing” on 5FM every Saturday mornings at 10:05 hours and every Wednesdays evening at 20:05 hours by streaming. With increased Chinese population in Zambia almost becoming the ‘74th tribe’ Chinese Tales’ presentation is timely.